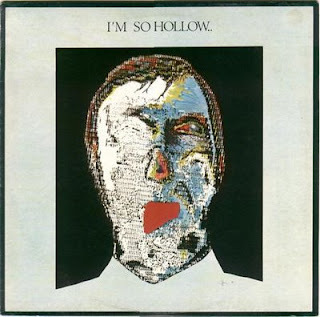 I'm So Hollow was a goth-tinged post-punk band, based in Sheffield, England, that had roots in a punk band called V4. After the morph into I'm So Hollow in 1979, the band took cues from the likes of Wire and Siouxsie and the Banshees. Prior to making their first recording, guitarist Rod Leigh, bassist Gary Marsden, drummer Joe Sawicki, and vocalist/keyboardist Jane Wilson were profiled in the NME as part of an article devoted to the Sheffield scene. Though they never released much of anything on their own, their material did show up on a batch of compilations. "I Don't Know" appeared alongside songs by Vice Versa, the Stunt Kites, and Clock DVA on 1980: The First Fifteen Minutes, an EP released by Neutron in February of 1980. Another recording, "Touch," was issued on Bouquet of Steel, a compilation of Sheffield bands released by Aardvark in June of 1980. Hicks From the Sticks (which also featured the likes of Medium Medium, Wah! Heat, and Modern Eon) was another package that featured the band. Prior to breaking up, the band released the Dreams To Fill The Vacuum single and the Emotion/Sound/Motion LP. They also recorded for a John Peel Session in 1980. The tracks played were "Which Way? ", "Fashion", "Monotony", "Dreams To Fill The Vacuum".